The new year has been going on for a few weeks now and on AppFutura we have worked on a list of the most promising mobile app development companies of 2018. In 2018, there will be different mobile app development trends to follow. These trends include Internet of Things app development, as well as wearable apps and Accelerated Mobile Pages (a project developed and implemented by Google with a huge implementation already). Other mobile app development trends that should be on the 2018 strategy of the most promising app development companies listed here are: mobile payments, Augmented Reality, Enterprise apps, On-Demand apps, Cloud-based apps, Android Instant apps, app security, Artificial Intelligence and the lazy loading technology to prevent the increase of bounce rates while loading the pictures once the text is fully loaded. Congratulations to all the app developers of this list! 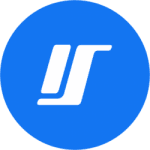 LeewayHertz does not only develop apps for startups, it is also a mobile app development company focused on making applications for large enterprises and medium businesses as well. It has a team of award-winning designers which are a key factor of the development process to deliver beautiful and intuitive projects to the clients and the final users. App development company services: LeewayHertz is specialized on mobile platforms and has services towards iOS, iPhone, iPad, Cross Platform, Android and Wearable app development. 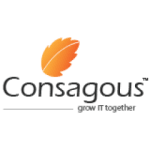 Consagous works on mobile and web app development to integrate a better communication with the client products. This app development firm has a team capable of working together on the designing and developing phases of the mobile app. 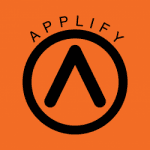 Applify defines their work as “minimalism with class” and creates customized mobile apps for their clients. This mobile app development company has a history on investing for the client as it has been working on improving its professional services: people, process and technology. 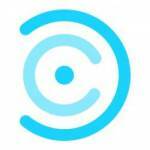 NoGravity has a team of mobile app developers specialized in IoT development. But their main interest on that field is the security a user will have when interacting with that mobile app or IoT product. IoT development is not the only service NoGravity offers, they also have a development team for both, Android and iOS platforms. App development company services: NoGravity is well known for its Android app development services. The app developers are also capable of building apps for iOS, iPhone or iPad. Other services they offer are web development and apps for wearables, Internet of Things, Education or Games. 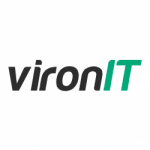 VironIT brings a solution for those businesses that cannot develop mobile applications. They also have a mobile app development team which its main focus are mobile platforms like iOS and Android, but also game app development. Umbrella Alliance is one of the most diversified mobile app development companies on AppFutura as it has a big variety of app development skills focus. When working with this company, the app owner has a project manager as the key contact while working on the client’s mobile app project. 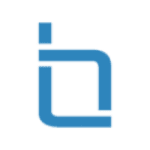 Intellectsoft is a mobile app development company focused on working with a low-code to make things simpler but with full-cycle development services. Their work allows customers to quickly engage with the target of the developed app, allowing on-the-fly updates using CMS. App development company services: Intellectsoft is a mobile app development company with different services, mainly focused on mobile devices like iOS, Android, BlackBerry as well as Windows, Cross Platform, Web, Internet of Things, Wearable, Enterprise, Social Media, Education and Health & Wellness app development. 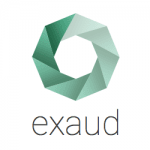 Exaud is an European mobile app development company focused on startups to medium companies to large enterprises. 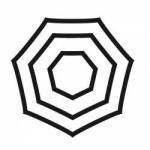 The company has experience in different sectors like automotive, computer vision game controllers and digital consumer devices. App development company services: The app development company offers services in Wearable, Internet of Things, Android, iOS, iPhone, iPad, Cross Platform, Windows, Enterprise, Mobile Game and Social Media app development. With 6 main objectives, ItCraft is a mobile app development company looking for the best interest of the client. The skills of the app developers from the company are communication, agility, technology, quality, complexity and confidentiality. App development company services: With mobile app development as its main interest, ItCraft works on Android, iOS, iPhone, iPad, Cross Platform, Web, Enterprise, Wearable, Social Media, Windows and Internet of Things app development. They also work on custom software development and UX/UI Design. DevCom is a mobile app development company founded in 2000, they provide the best results for mobile app users as well as for the client. Working worldwide, DevCom also understands the benefits it has for a client the good use of mobile apps and the technology they develop the apps with. App development company services: DevCom is mainly focused on mobile iOS, iPad, iPhone, Android, Cross Platform, BlackBerry and Web development. 180 Creative has been on the market since 2012. This mobile app development company works for small startups up and big worldwide enterprises. 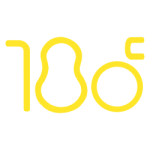 180 creative is an app development firm that has project managers taking care of all the process while informing the client. App development company services: 180 Creative has working teams on Android, iOS, iPhone, iPad, Cross Platform, Web and Enterprise app development. 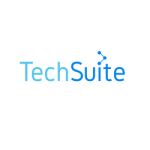 Techsuite is one of the most diversified mobile app development companies on AppFutura. The key objective of Techsuite is to deliver mobile apps for the client that can be the result of one of the greatest ideas coming to life. App development company services: Among the different services that Techsuite offers to clients, we find Social Media, Wearable, Mobile Game, Android, Health & Wellness, iOS, Education, iPhone, Enterprise, iPad, Internet of Things, Web and Cross Platform app development. Applaud is formed by multiple app developers working since the first iPhone was launched, back in 2007. 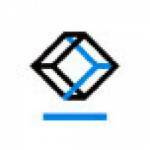 This mobile app development company is based in Tallin, Estonia, but has been working with companies around the globe as well as with startups and big enterprises. 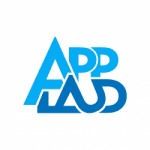 App development company services: Applad offers different services like iOS, iPhone, iPad, Android, Wearable, Internet of Things, Health & Wellness and Augmented Reality app development. 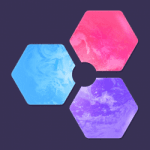 Quantox has a team of designers, programmers, online strategists and app marketers all working together to deliver the best mobile app to the client. 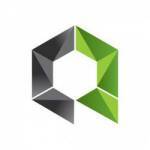 Quantox is specialized on mobile app development as well as web app development. 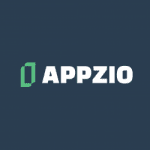 Appzio promises to deliver mobile apps three times faster than its competitors. The reason is because this mobile app development company has its own platform for developing native mobile apps. App development company services: Appzio works with Android, iOS, iPhone, iPad and Enterprise app development. 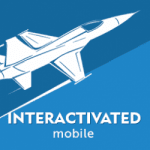 Interactivated Mobile is part of the Interactivated Software company, delivering key mobile apps and projects to its clients. This mobile app development company offers professional app developers, as well as good testers and project management. App development company services: Interactivated Mobile has developed apps for Android, iOS, iPhone, iPad, Cross Platform and Wearable devices. Mobile app developers can also share their expertise and information on our Forum: Most promising app development companies in 2018.